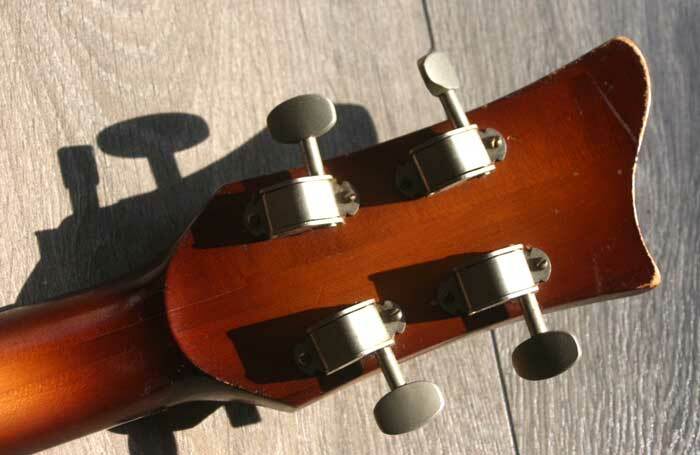 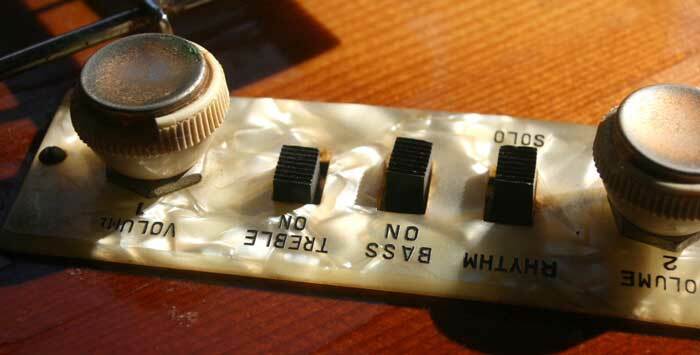 Note the metal button, enclosed, spring-loaded tuners fitted to this guitar. 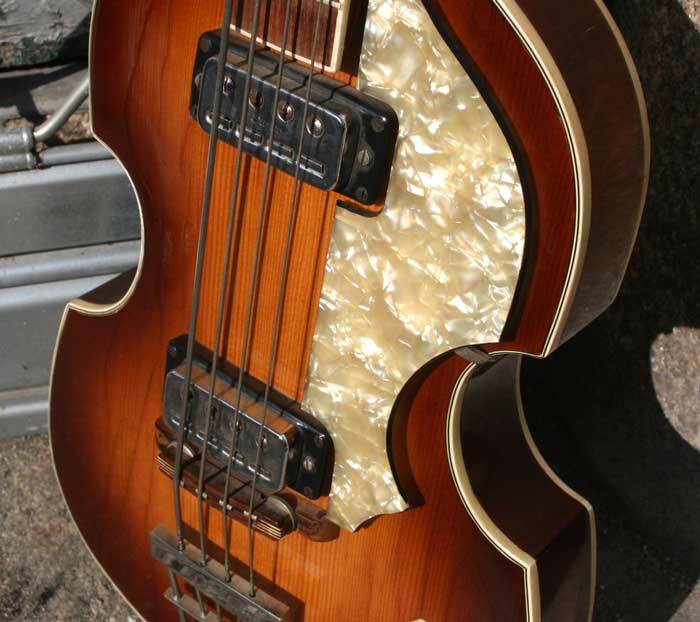 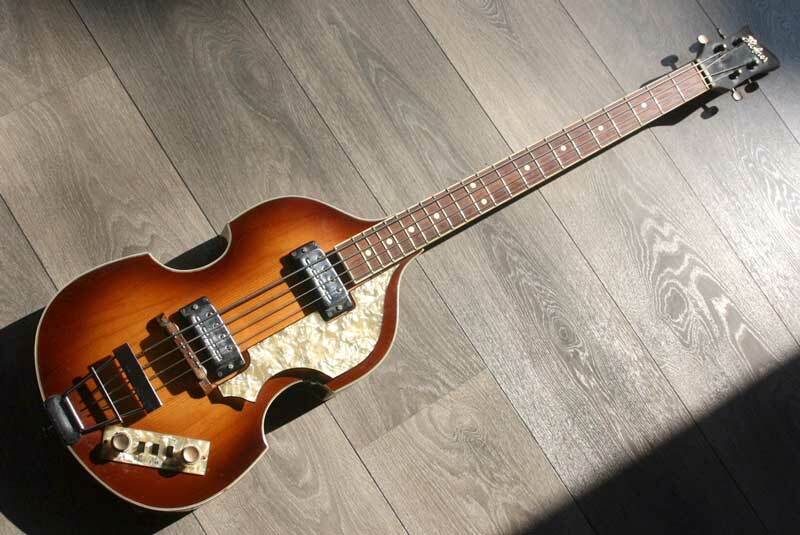 These were not fitted to the German-made basses until the late 1970's. 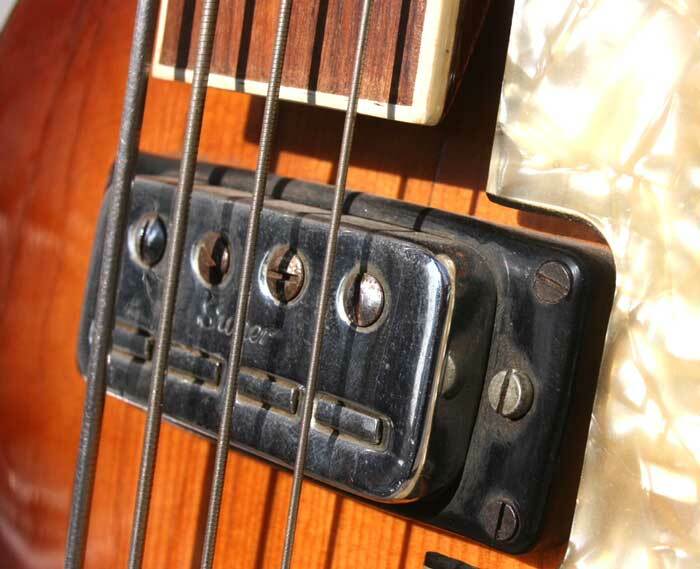 Type 511 "Staple" Pickups with "Super" stamped into the tops of the cases. 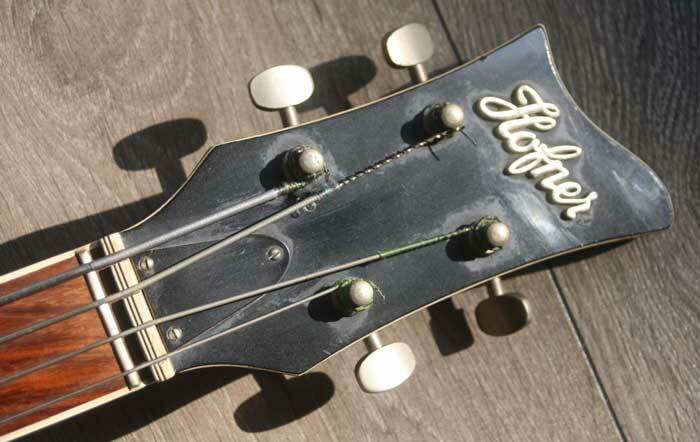 The German-made bases of this period were fitted with the improved Type 513 "Blade" pickups.